Authentic Keith Brymer Jones original standard Bucket Mug (350ml) with “daddy” hand stamped with a master craftsman’s touch to create a unique impression. Part of the Keith Brymer Jones Word Range. 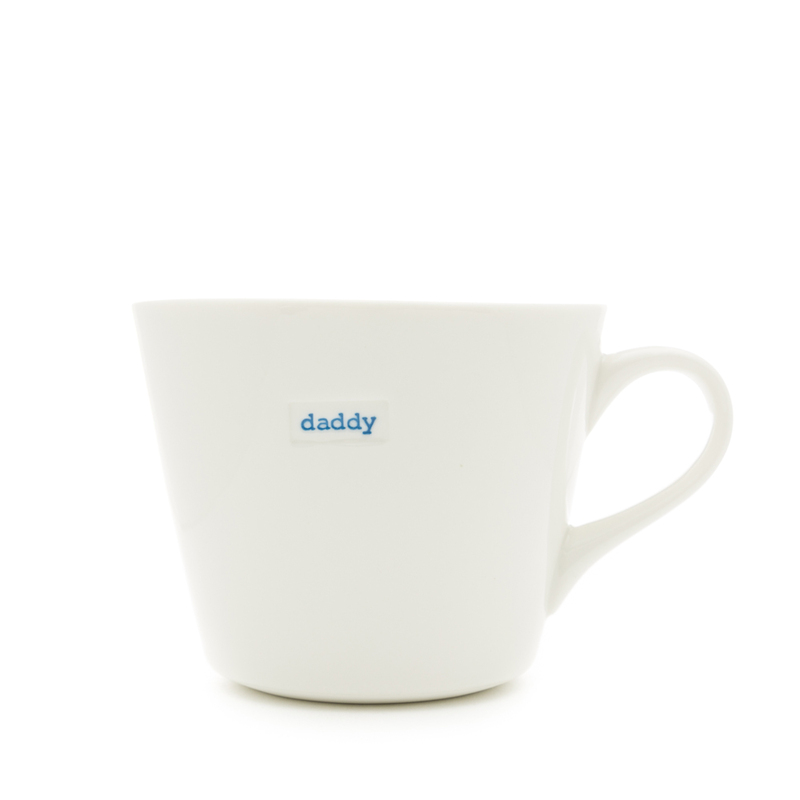 This stylish and contemporary ceramic mug is meticulously crafted and hand-stamped with the word ‘daddy’ in a typewriter font. This bucket mug is from Keith’s Word Range featuring high-quality ceramics crafted from super white porcelain. Dishwasher and microwave safe. Standard Bucket Mug 350ml – dream big!